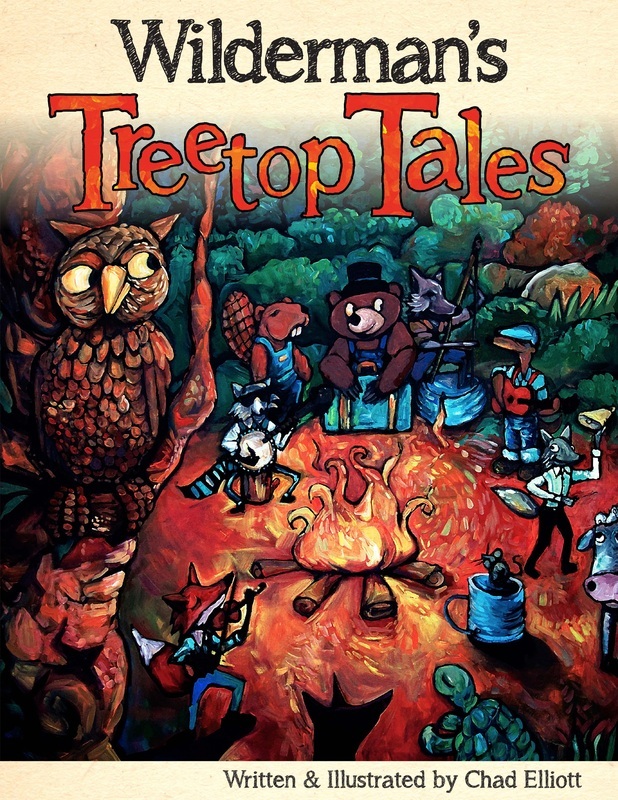 Wilderman’s Treetop Tales is a collection of whimsical lyrics and paintings created by International award-winning songwriter, Chad Elliott. The book is designed for ages 3-10 and contains both heartwarming and giggle-worthy poetry accompanied by Chad’s own illustrations. 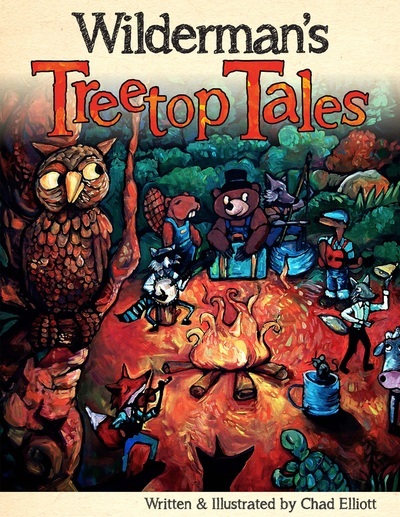 Chad, who has been performing original songs for 20 years and is a winner of the Woody Guthrie Song contest, brings 10 of the lyrics from the book to life in the companion music album, also titled Wilderman’s Treetop Tales. Together, the book and album create an interdisciplinary offering of art, music and writing which allows the whole family to embrace wild imagination. Learn more about the project at www.wildermansbooks.com. Chad Elliott holds a degree in visual arts. While in college, he discovered a love for the art of music in addition to painting and ceramics. Elliott’s music career stretches far beyond this first Wilderman’s book. He has been touring the country for 20 years performing his original songs, which are a blend of Americana, blues and roots music. 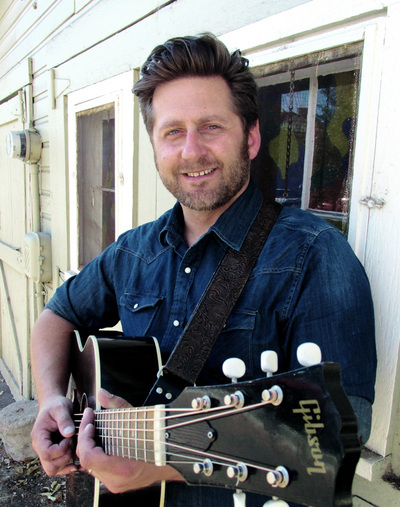 He has been featured on Iowa Public Radio’s Java Blend, composed and performed music for several IPTV documentaries, and won prestigious awards, such as the Woody Guthrie Song Contest. Chad has shared the music stage with great artists such as R.L. Burnside, Odetta, Tom Paxton, Loudon Wainwright III, among other stadium acts like Counting Crows, Eric Church, Survivor and Lonestar. Chad’s live performances are a blend of engaging storytelling and memorable song lyrics that captivate audiences of all ages. Learn more about Chad Elliott at www.chadelliott.net. To book Wilderman's, contact Alyssa: (515) 460-5634 or homefirebooking@gmail.com.